Another addition to the Grid Work series. I’m still building these using completed observational paintings as a starting point. 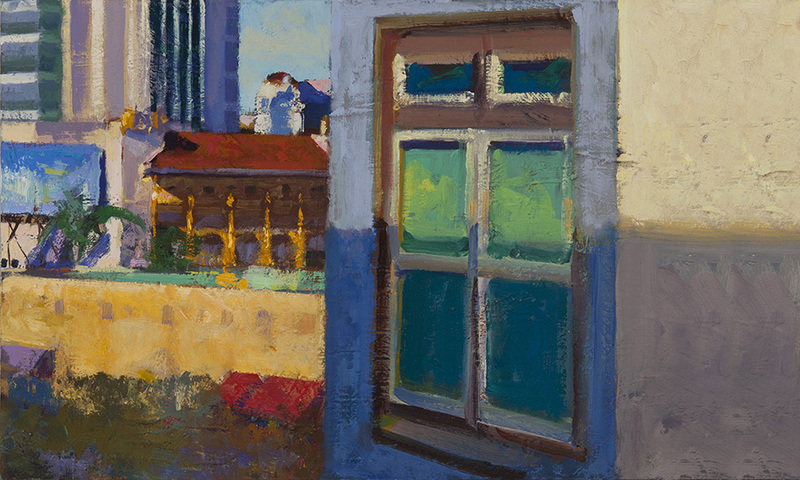 This one is another studio view (see below). Eliminating expressive drawing as a component of the paintings has really ratcheted up my attention to subtle color relationships. Trying to build complexity with intentionally simple marks has really clarified to me how much size of mark and relationships of color build our sense of space and form. 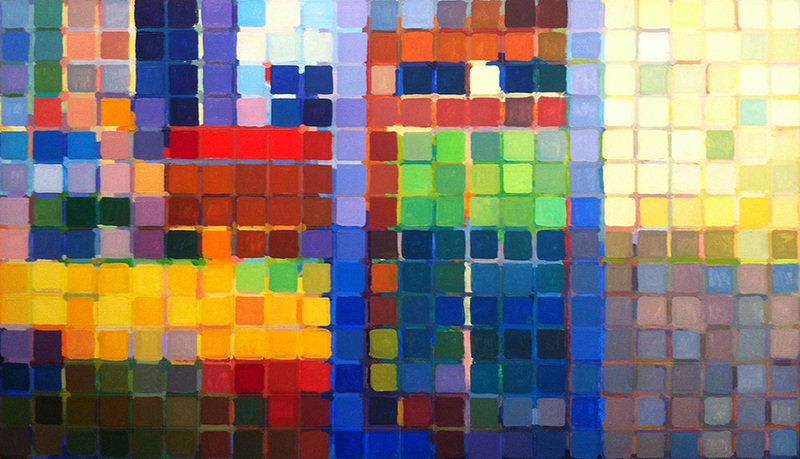 The image below is an early stage of the final painting, starting with solid masses over colored grids. 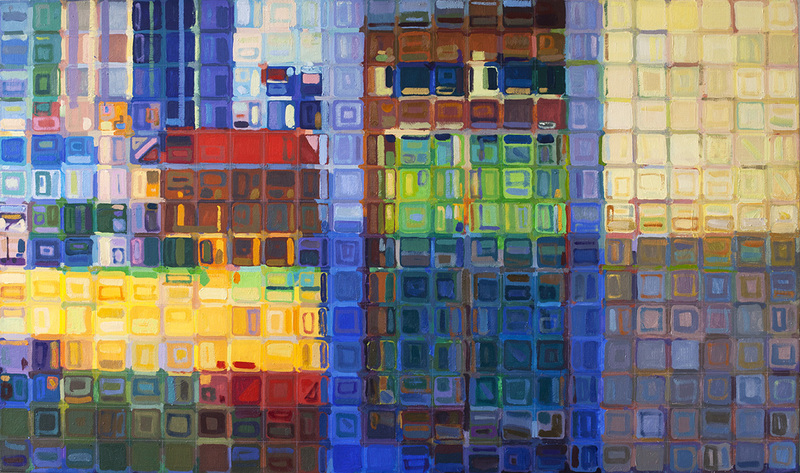 This entry was posted in California, Grid Work Paintings, Landscape Painting, Process, The Spurgeon Paintings and tagged process on May 1, 2013 by Joe Forkan.